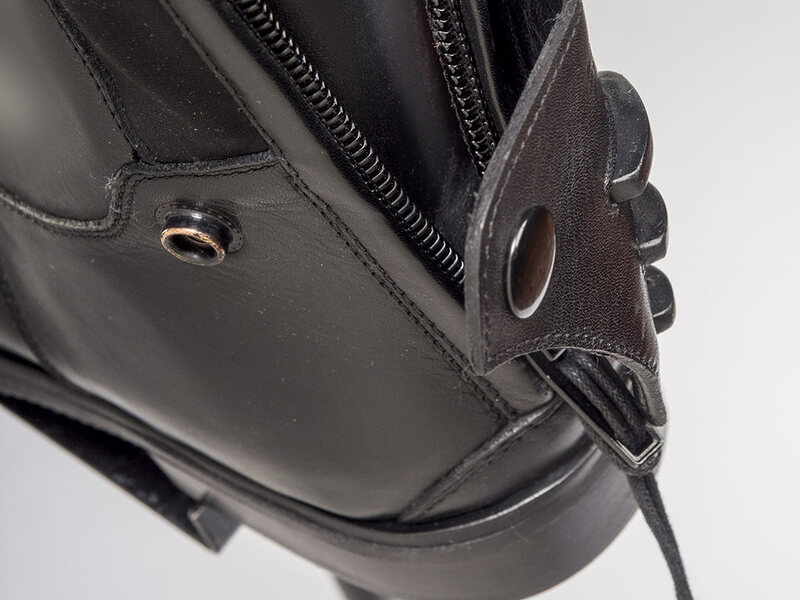 EGO7 Orion, tall riding boots with a modern design and high-end style, lace-up jumping boots made from full grain leather with elastic laces detail and extra-soft leather front. All EGO7 models have a rear elastic band. This ensures maximum comfort, freedom of movement and a glove-like, made-to-measure fit -and look- to any calf, together with extreme wear resistance and easy care of the innovative E-tex material. 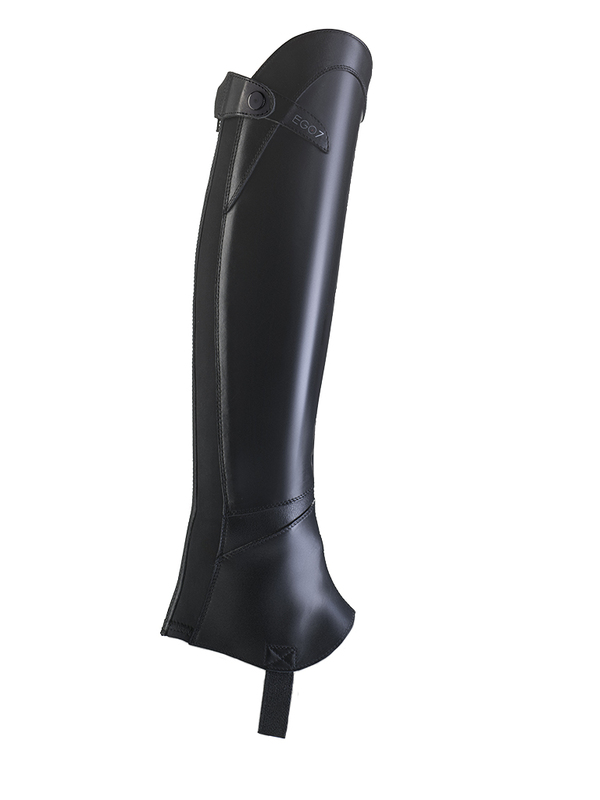 The full-length panel protects effectively the inner calf and guarantees a perfect contact with the horse. We use only the best quality materials, full grain cow leather, dyed to show the natural texture of the leather that beautifies with use and it is the only leather good enough for EGO7 products. Orion riding boots are 100% designed in Italy, manufactured under strict quality standards with innovative materials and technology procedures. 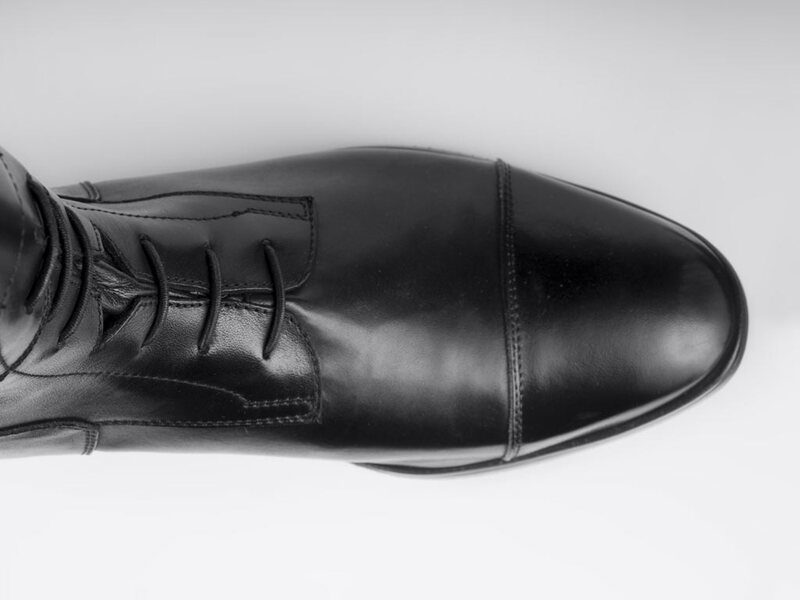 Pioneering details for captivating and functional features, like the spur rest sewn onto the heel counter, designed to be functional and stylish at the same time it has 3 adjustment levels. The smart guide in the front lace panel eases the ankle movement and encourages a correct heels-down position: practical and stylish. 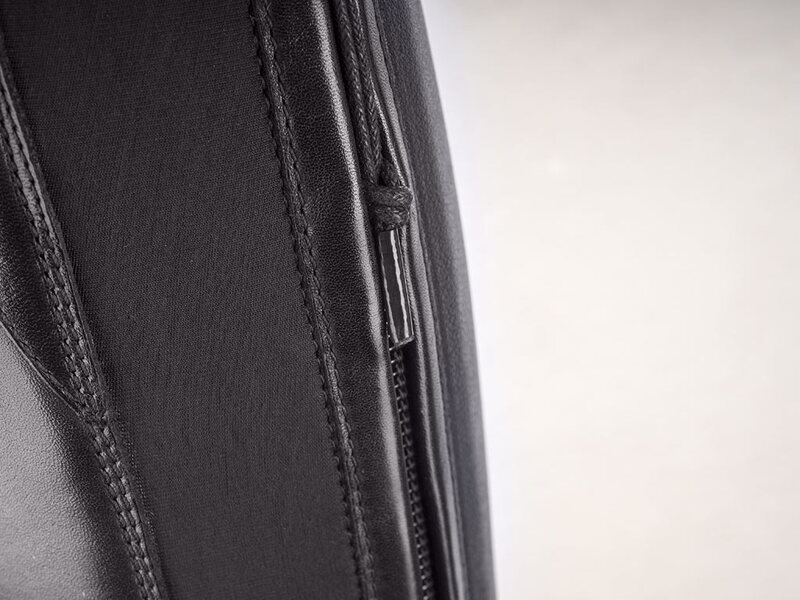 We use an extra-strong zipper, brass snap buttons for the top zipper protector and spur rest. 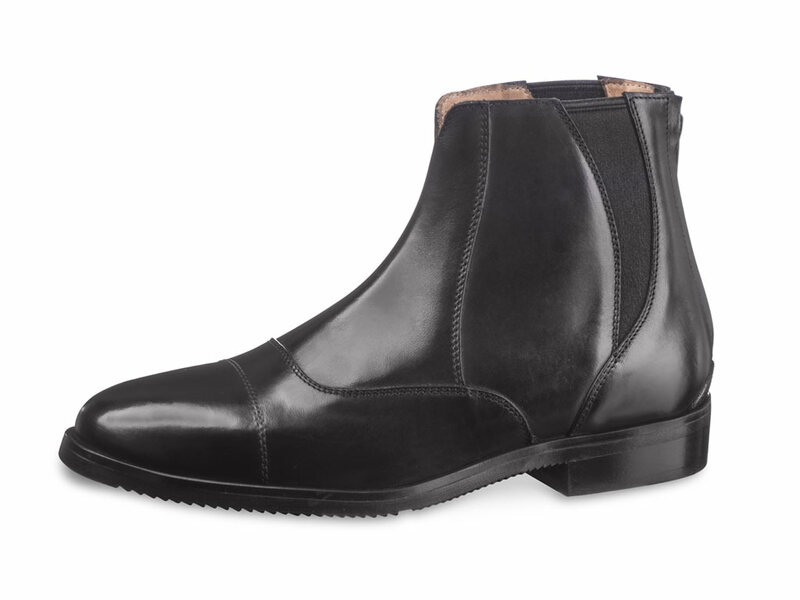 The clever padded-leather flap make it easy to put on protecting both heel and back zipper. 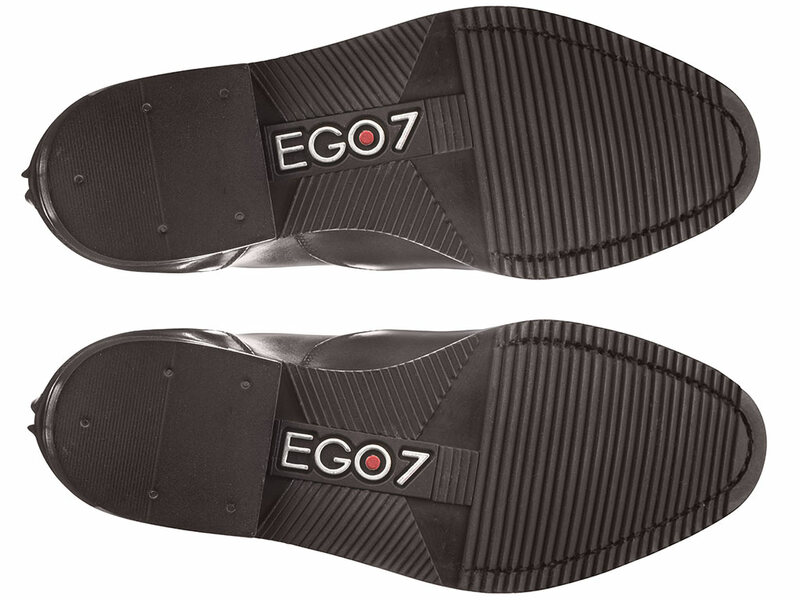 Furthermore EGO7 boots have double-stitched seams along all stress lines to increase wear resistance. 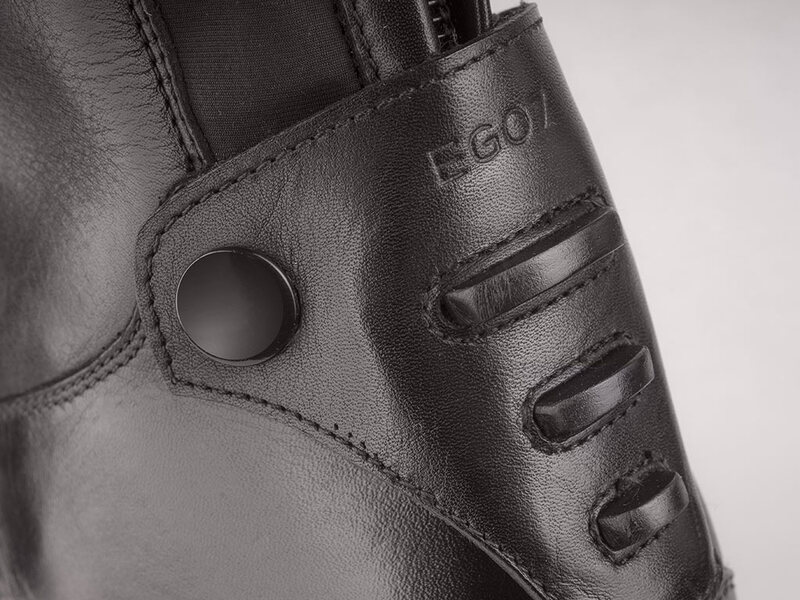 EGO7 riding boots have cowhide foot bed and a 2 mm anti shock insole. A second sole is supplied made from antibacterial polyurethane covered with soft leather for ultimate shock absorption, highly absorbent and breathable. 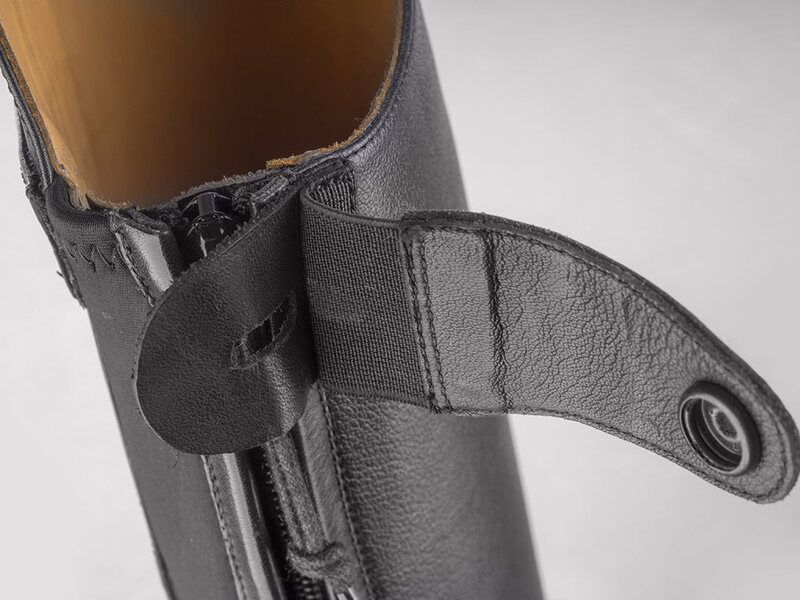 The innovative hand-sewn rubber sole featuring an aggressive profile for a secure grip to the stirrup, suited for all kinds of terrain, it allows a quick release of the foot in case of a fall. 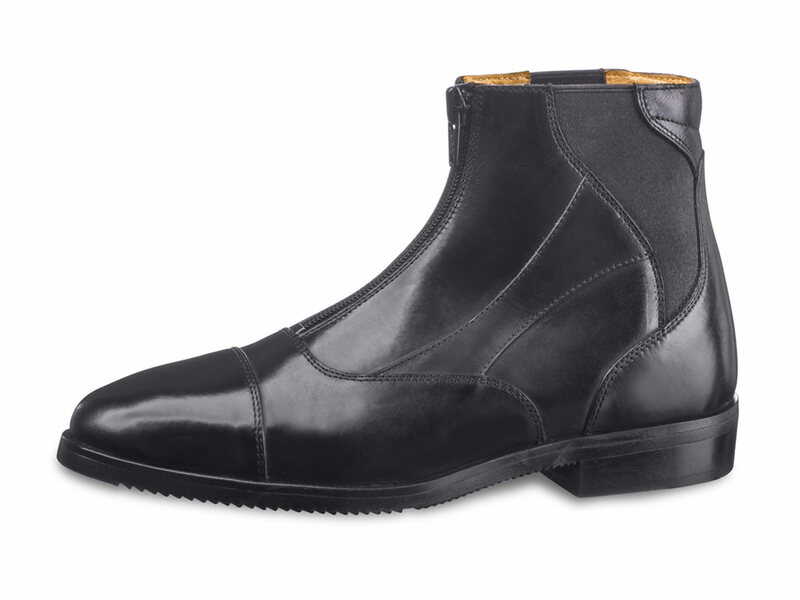 The special rubber sole combines comfort and design, light and flexible, it reduces considerably the boot weight. 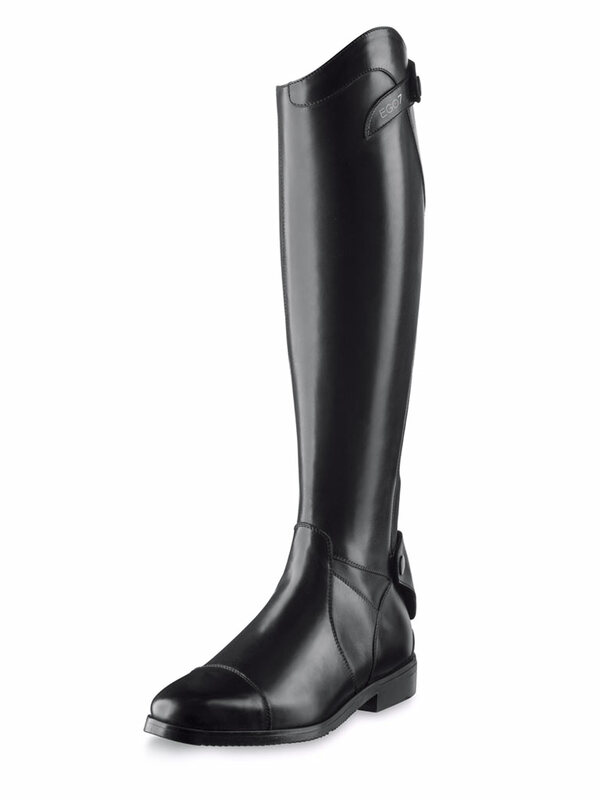 EGO7 riding boots are so comfortable you can wear them all day! The lining leather is Drum Dyed. It is a finishing process without coating or pigmentation, this ensures softness, absorbency and superior durability, moreover the leather beautifully burnishes with use. The breathable elastic band provides extra comfort and eases the leg movements while riding. 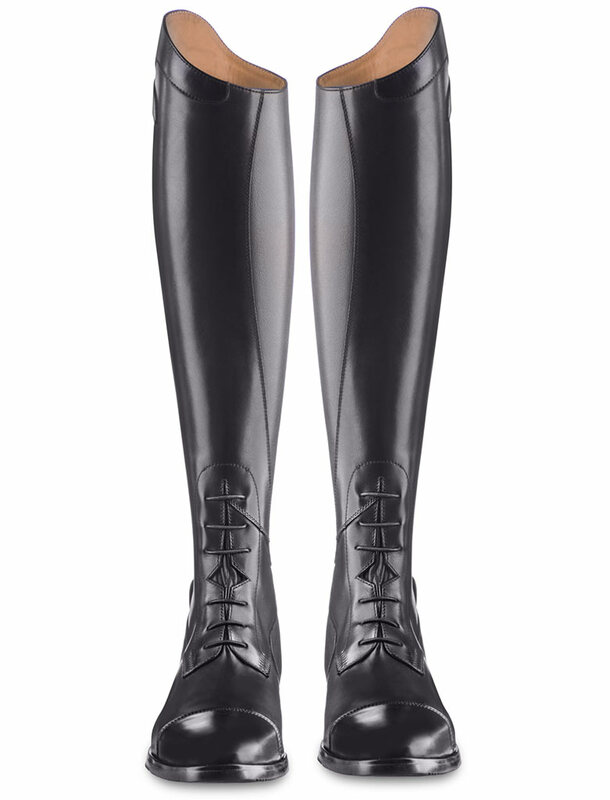 This, together with the captivating Italian design of Ego7 riding boots, guarantees a fabulous look, – equal to bespoke products -, and perfect fit to any calf. Inflatable boot trees are included with EGO7 tall boots. The innovative E-tex material is a technical product, water resistant, compatible with the leather, aesthetically identical, that guarantees a perfect feeling and contact with both saddle and horse. Tests show that this technical fabric is several times more wear-resistant than leather itself. 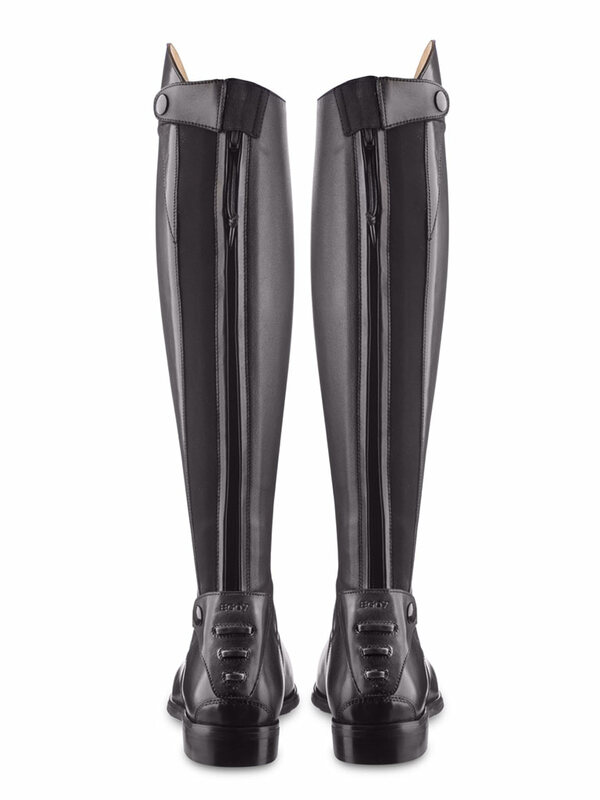 We introduced this innovation to EGO7 riding boots to protect and support the leg sturdily around the horse and saddle, while being able to flex with ease. It ensures the highest resistance to intensive use and wear whilst keeping aesthetic features unaltered. EGO7 guarantees top performances while training or at competitions, for the equestrian athlete and every equestrian discipline: dressage, showjumping or eventing. EGO7 hunter boots are available in various sizes with a wide choice of combinations for sharp, well-fitted and elegant style: you can measure your calf height and widths and choose yours depending on your leg conformation, they will fit you just like a bespoke pair of boots. 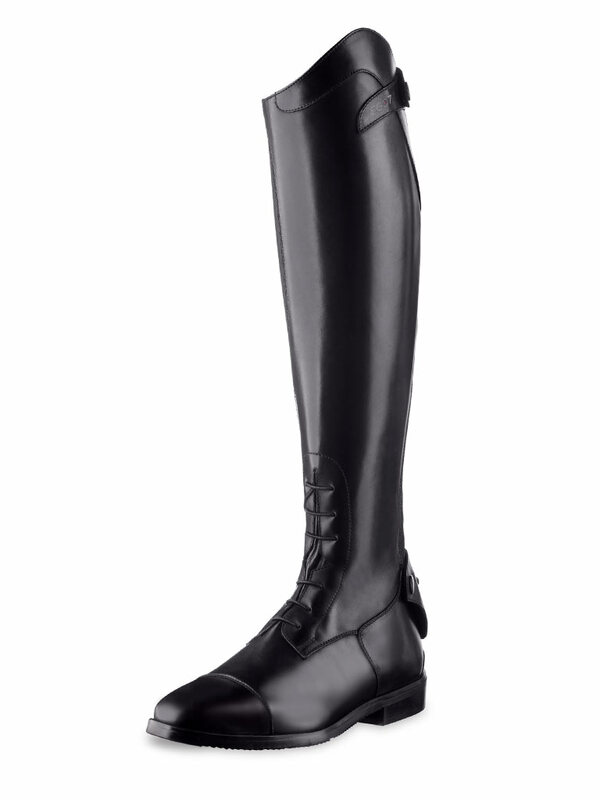 Please check our size chart to find your perfect pair of riding boots. ORION or the hunter is one best-known and recognizable constellations in the night sky and the mythological figure of the famous giant hunter. Orion literally dominates the celestial equator armed with bow, arrows and sword, accompanied by his hunting dogs, he fights beasts in the wooded mountains and strike with his weapons.